Marriage Apr 1, 1918 New York, New York Co., NY, USA, age "42"
Hadwin Houghton married Margaret Castle in Sep 25, 1878 mar 33 years in 1900 census. Hadwin Houghton married Carolyn Wells in Apr 1, 1918 at New York, New York Co., NY, USA, age "42." Alfred Pickering Clark married Joanna Chaplin Houghton, daughter of Moses Barnard Houghton and Almira Pollard, in Jun 2, 1853 at Cambridge, Middlesex Co., MA, USA. Death Dec 24, 1944 Keene, NH, USA, age "80"
Ellen Cabot Jackson Russell married George Washington Wright Houghton, son of Moses Barnard Houghton and Mary Augusta Wright, in Feb 13, 1887 age 20. Margaret Castle married Hadwin Houghton, son of Moses Barnard Houghton and Mary Augusta Wright, in Sep 25, 1878 mar 33 years in 1900 census. Charles Frederick Houghton married Helen H. Hall in Jul 2, 1878. Nellie Maria Houghton married George Lansing Abbott in Feb 9, 1882. Annie Frances Houghton married William A. Tuttle. Helen H. Hall married Charles Frederick Houghton, son of Amory Houghton Sr and Sophronia Mann Oakes, in Jul 2, 1878. Helen H. Hall married Charles D. Vail in 1901. 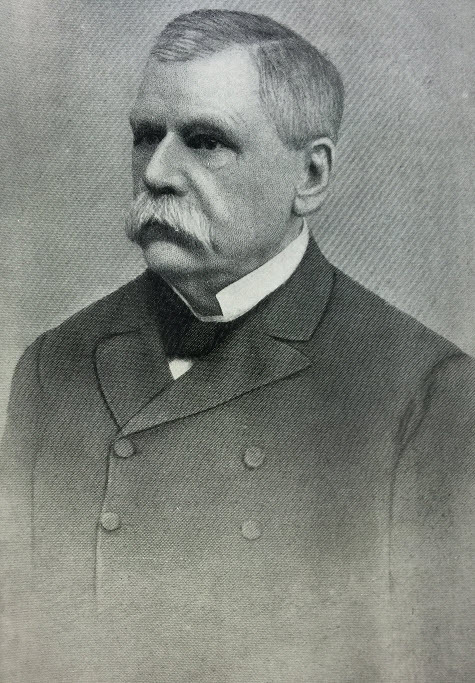 George Lansing Abbott married Nellie Maria Houghton, daughter of Amory Houghton Sr and Sophronia Mann Oakes, in Feb 9, 1882. William A. Tuttle married Annie Frances Houghton, daughter of Amory Houghton Sr and Sophronia Mann Oakes. Charlotte I. Houghton married Dr. Frederick W. Taylor in circa 1891 mar 19 y in 1910 census. Dr. Frederick W. Taylor married Charlotte I. Houghton, daughter of Francis Houghton and Martha Richardson Oakes, in circa 1891 mar 19 y in 1910 census. William Stevens Houghton married Abbie Frances Goodridge in Apr 12, 1849. William Stevens Houghton married Sarah Jane Topliff in May 19, 1859. 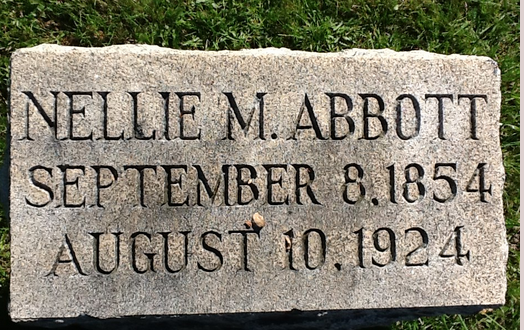 Abbie Frances Goodridge married William Stevens Houghton, son of Capt. Reuben Houghton and Elizabeth Mead, in Apr 12, 1849. Sarah Jane Topliff married William Stevens Houghton, son of Capt. Reuben Houghton and Elizabeth Mead, in May 19, 1859. Harriet Chadwell Houghton married Harris Otis Chadwell, son of Harris Chadwell Jr and Polly Houghton. John Clarkson Houghton married Susan Maria Tufts in Jun 5, 1850 at Lynn, Essex Co., MA, USA, 4 children. 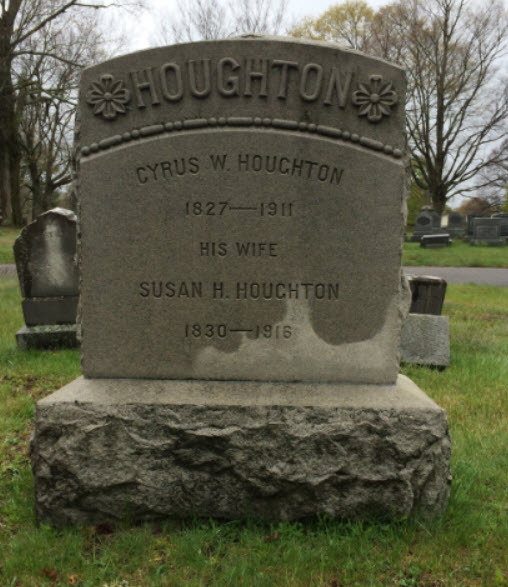 Cyrus Warren Houghton married Susan Helen Alley in circa 1854 mar 46 y in 1900; mar 59 y in 1910 census. Susan Maria Tufts married John Clarkson Houghton, son of Cyrus Houghton and Elizebeth Sargeant Martin, in Jun 5, 1850 at Lynn, Essex Co., MA, USA, 4 children.